It’s that time of year again when Namibians pull out their winter woollies and seek the sun. Fortunately there’s plenty of sun at this time of year, because Namibia enjoys a summer rainy season, which means our winter days are clear and cloudless. Only a few tough farmers and lucky tour guides who have the good fortune to travel up north to warmer climes still bravely don their shorts in the morning. The rest of us dress up for the cold, but by midday we’ve all shed a layer or two and found a spot for soaking up the sun. Our nights can become really cold though, with July usually being the coldest month in the interior. Right through winter you might well experience the famous east wind at the coast, which brings really hot weather. There is lots to do in Namibia during winter and it’s a great time for travelling, so here are some tips to make the most of your stay and keep you warm, healthy and safe. It’s good to go camping just before a full moon, as you’ll have maximum natural light to see by. So mark these dates in your diary! Namibia has opted for summer daylight saving, so on the first Sunday in April we set our clocks back by one hour. This simply means more daylight in the morning, but by 5:30 in the afternoon it becomes dark. – All of Namibia except the Caprivi Region is on GMT+1 hour during winter. – Caprivi remains on GMT+2 hours throughout the year, due to its location in central Southern Africa. Insulate your geyser with a geyser blanket, then switch it off after showering in the mornings. Pack a hot-water bottle for travelling. These are great for cold toes, as well as for stiff necks. Open windows and doors by mid-morning to let in natural warmth, and close again before sunset. When staying in serviced accommodation such as hotels, let the staff know that you don’t need fresh sheets and towels every day. Because of our poor rainy season this year, Namibians are currently under pressure to be sparing with the country’s water resources. Pick up at least one piece of litter a day – the more the better! Wild animals and birds are desperate for food after this year’s poor summer rainfall and will eat anything, which could end up killing them. Even though it’s winter, because Namibia is very dry and since it’s sunny most of the time, you still need to keep well hydrated. Remember to drink water regularly, because as little as 2% dehydration can affect your concentration. Pack in a good moisturiser for your face, hands and body, or buy one of the eco-friendly options available at Maerua Superspar’s health section. Better still, try Namibia’s own !Nara oil body (and food) products manufactured from cold-pressed !nara melon seeds, found in the Namib Desert. Get enough exercise, especially when you’re sitting at a desk or in a car all day. Exercise enhances your mood, which counteracts the gloomier effects of the winter cold and the shorter days. Even though this year has had a poor rainy season, we still need to be aware that there could be a risk of malaria. In certain areas a new generation of mosquitoes will have been bred, so it’s best to observe the prescribed prophylactic measures, particularly when travelling to northern Namibia. Etosha received late rains over Easter this year, so the area remains a risk zone. – Be sure to cover up after dark, especially your feet and legs (95% of mosquito bites are in these areas, and are inflicted while you’re standing or sitting). – Slap on mosquito repellent if you’re going to be sitting outdoors. – Sleep under a mosquito net if you can. – Consider taking oral prophylaxis if you’re visiting malaria areas. Make sure your barbecue or braai fire is thoroughly doused before you go to sleep. The slightest breeze can scatter sparks and possibly cause a veld fire, especially now in the dry winter and upcoming spring months. Always carry extra water in your vehicle, as you never know how long you may have to wait for help if you break down in a remote area. Exposure to sun and wind will dehydrate you quicker than usual at this time of year. Always travel to remote areas in two vehicles. Hiring a 4×4 can give travellers a dangerously false sense of security and tempt them to leave the main track. On gravel roads, keep a safe distance behind the car in front of you, as the dust can completely obscure your vision. Remember that in Namibia we drive on the LEFT side of the road! 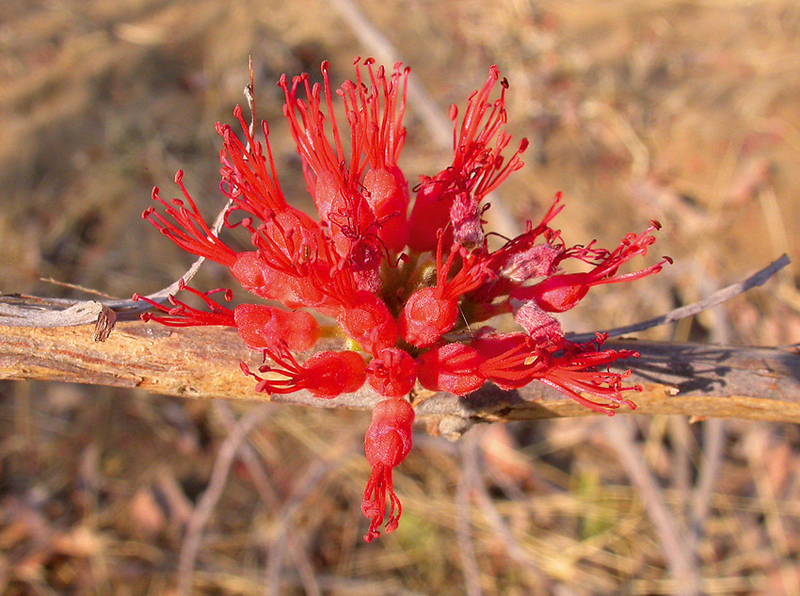 During winter your garden will show you which plants belong in your environs and which don’t! In areas like Windhoek, we sometimes get frost in the mornings, so any plant that is not indigenous and suited to our local climate will probably die back if not covered in frost sheeting. Years ago when starting an ‘indigenous-to-Namibia’ garden on the banks of the Omaruru River, I soon discovered during the first winter what was suitable and what was not. With temperatures of up to –10 degrees Celsius, plants that were not local to that particular area simply froze away. I tried really hard to nurture my favourite sausage trees (Kigelia Africana, which grows happily in the Caprivi) but they taught me that the way to go was to plant only what occurs naturally in any given place! It’s a good time to take stock of your garden and decide what exotic plants to replace with indigenous ones, so you don’t have a repeat disappointment next year. Wait till spring to plant though. Mulch your flower and tree beds with organic material to retain the moisture longer during the dry months. Water before 11 in the morning so that the plants have time to utilise the water before the night-time chill sets in. Avoid watering when you see the temperatures are likely to drop. A seasoned and ‘tuned-in’ gardener will feel the frost coming that night, so ask your elderly neighbours for advice! One of the things I love about winter is that I can make endless soups with the veggies that abound this time of the year. Pumpkin, butternut, courgettes, broccoli and cauliflower come to mind. Stop off at Mathilde and Heike’s stall for some biscotti or a German stollen. 100% olive oil soaps made by the Katutura Women’s Project will ease the winter dryness and help improve the lives of the women who make them. Then take time for coffee and a brötchen and meet the locals. Don’t forget to take your own re-usable shopping bag with you – both to the Biomarket as well as to supermarkets. 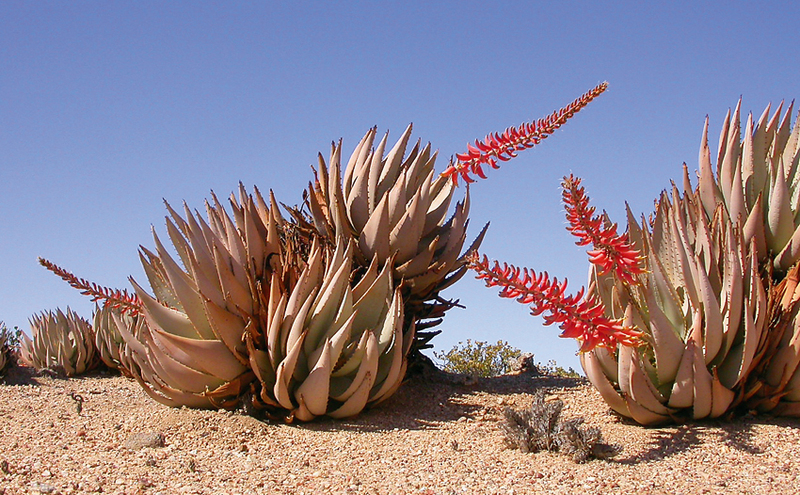 The climate in winter is pretty consistent in Namibia. It really does have a bit of everything except rain. Having said that, if you’re visiting the extreme south, you might well encounter some of South Africa’s winter rainfall spill over. Throughout the rest of the country, nights can be bitingly cold, especially if there’s a slight breeze. Days are generally warm, especially at lunchtime. The coast is often misty and cold, but could have very hot east-wind conditions. Sunscreen – we have between 10 and 11 hours of sunshine per day in winter with no clouds, so there’s nowhere to hide! 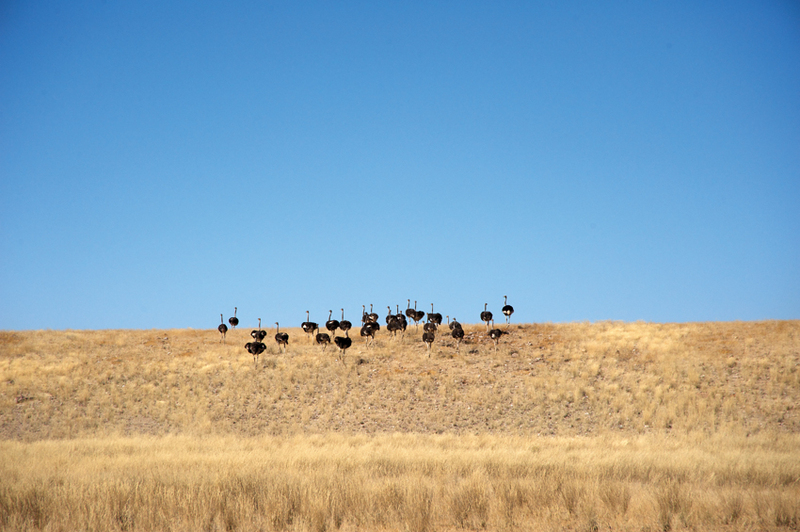 After the rains that fall to a lesser or greater extent during summer, the grass by winter has become quite flattened and the bushes thinner, resulting in better visibility for spotting game along the roadsides throughout Namibia. 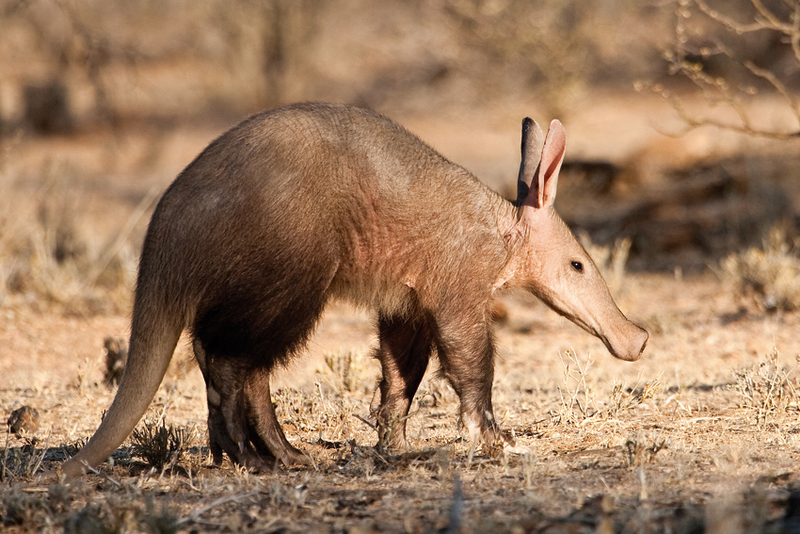 Because of the drought this year, towards the end of winter you may see nocturnal creatures such as bat-eared fox and aardvark foraging well before sunset. Add to this the fact that animals in Etosha must visit waterholes every day to drink and there’s no better time for game viewing. 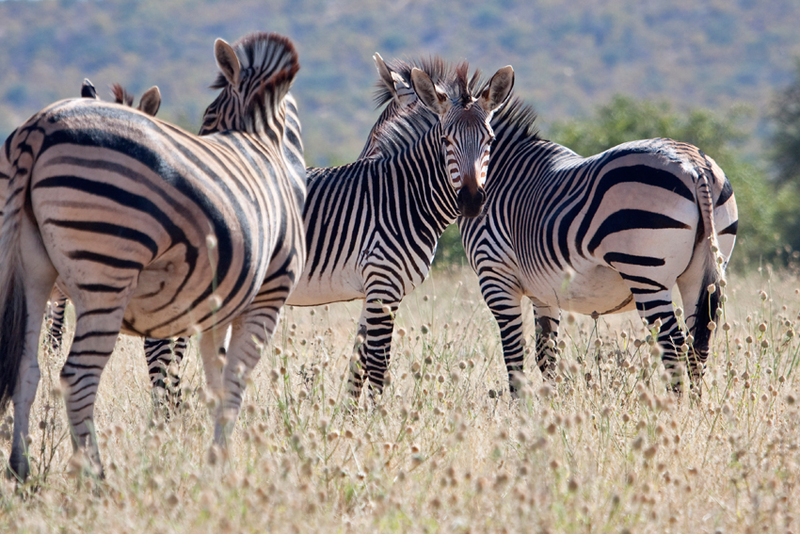 Another special for Etosha is the mountain zebra, which you will often see here with Burchell’s zebra. Okaukuejo Waterhole is a great place if you just want to sit in the camp and watch the passing parade – people, birds and animals. The antelope visit in large numbers when it’s mid-morning, and it can become quite busy. Okondeka Waterhole in the north of Okaukuejo Rest Camp is great for seeing the resident lion pride. I counted 18 members at Easter and the second pride male was not at home. The plains animals have to drink at this waterhole, so just sit and wait for the action to come to you. I’ve seen a caracal hunting here mid-afternoon, and in March rare sightings of brown hyaena and honey badger were also recorded. 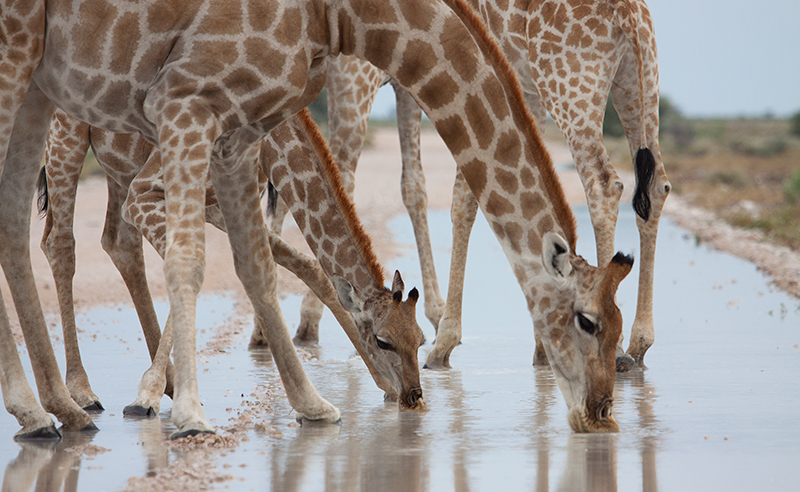 Halali Camp in the centre of the park offers accessibility to different kinds of waterholes. If it’s cheetah you’re after, head 9 kilometres down to the pan and turn left following the pan edge to Sueda. If at first you don’t spot any cats, retrace your route on the way back to camp. This is a consistantly good area for cheetah sightings. Or you could spend some time at Goas – a double waterhole east of Halali Camp that is often frequented by elephants, hyaenas and giraffe. Most animals come here to drink at some time (leopard, lions and rhino), so patience and a picnic are recommended. 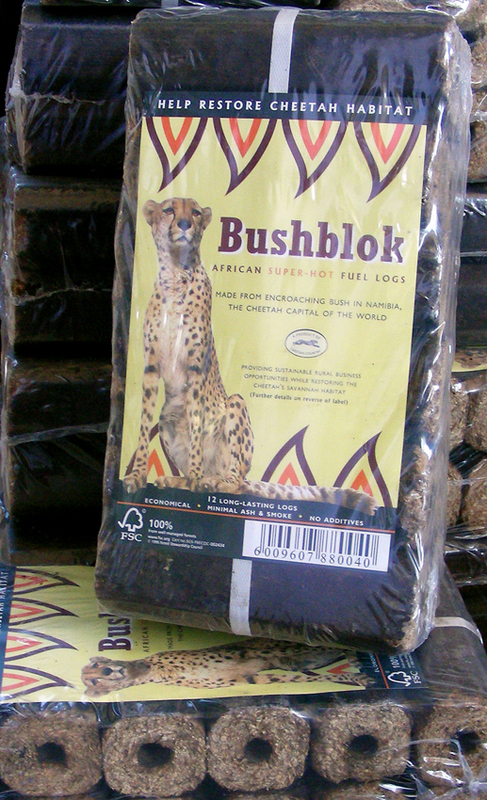 Head from here north to Nuamses and wait quietly for the resident leopardess and her new cub. I saw and/or heard no less than four leopards around Nuamses late one afternoon in November last year. Namutoni is feeling the drought this year, with Fischer’s Pan drying up and becoming somewhat smelly. Only a handful of permanent flamingos are holding out here – the breeding season never took place this year due to poor rains. The 15 kilometres of sandy track through the forest to Onkoshi Camp is a delightful secret place and we’ve recently seen fresh tracks of lion, elephant and rhino here. Fellow visitors spotted a leopard just outside the camp before sunset. Apart from the big boys, it’s teeming with warthogs, kudu, steenbok, zebra and giraffe, to name a few. Drive slowly to take it all in. 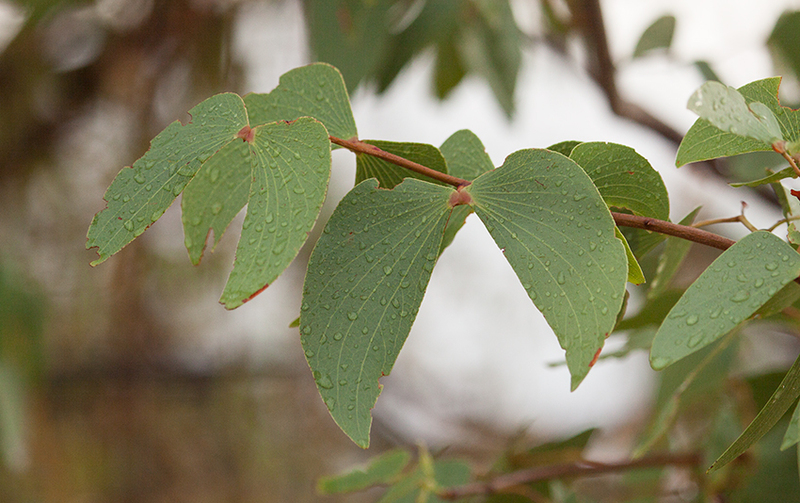 If you see small acacia bushes in bloom with their bright yellow balls you’re looking at Acacia nebrownii, unaccountably called the ‘water thorn’! These bushes are often found in such dry areas you would never guess their presence indicates underground water. Dombeya rotundifolia (wild pear), seen flowering (covering the tree ) at the restaurant of the Waterberg Plateau Park well into winter. Ostriches by Paul van Schalkwyk. Look out for the small population of blue cranes that live in eastern Etosha. They can often be seen near Salvadora waterhole or along the pan towards Namutoni. They will be foraging at this time with one or two chicks from the summer breeding season. Their numbers total a scant 65. After summer a small population of flamingos remain year round at Fischer’s Pan. This year the rains were insufficient to initiate the migration from the coast and subsequent breeding. So this year is a good time to see thousands of flamingos in the Walvis Bay Lagoon! Winter birding is generally good in Namibia even after the summer visitors have left. When the trees are bare and food is scarce, it generally becomes easier to spot birds. This article was originally published in the Travel News Namibia Winter 2013 edition.